Primary Camera: 12 MPix f/1.7, 26mm, 1/2.5" sensor size, 1.4 µm pixel size, LED flash, [email protected], [email protected], HDR, dual-video rec. 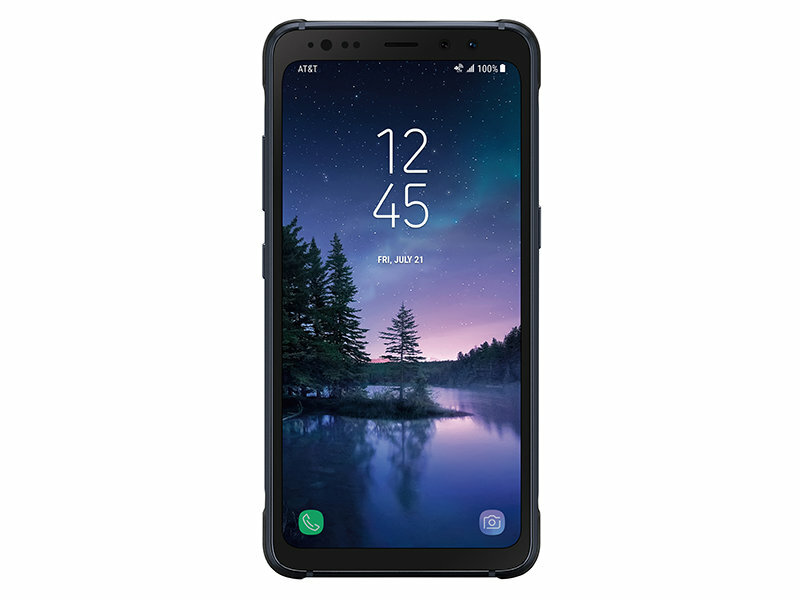 The Samsung Galaxy S8 Active offers just about anything that you want out of a smartphone. At its core, this is a true flagship smartphone - one that overlaps very well into a niche category (this phone is everything and the kitchen sink). This niche caters to folks who work in physically demanding environments, or those who simply want peace of mind that their pricey investment can take a moderate beating. This phone is also great for those who work long hours and spend a lot of time away from a power outlet. 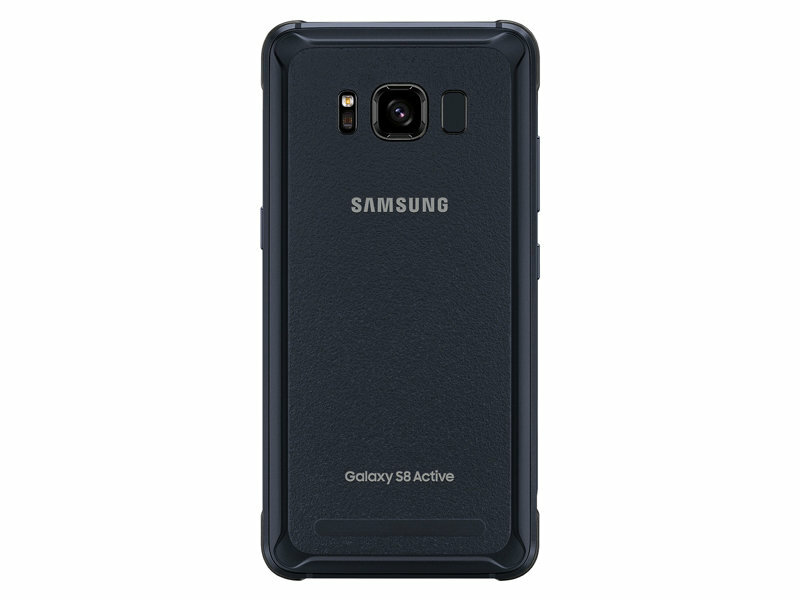 The Galaxy S8 Active is a great phone, but if battery life isn’t your top concern, you’ll save money buying a regular Galaxy S8 and a case. If you’ve grown accustomed to having a rugged phone over the last few years, the S8 Active is a wonderful step up from your older model. A lot of people hold on to their handsets for 18-24 months; this phone is much improved over what was available at that time. The Galaxy S8 Active endeavors to do something really no smartphone does today. Taking top-of-the-line technology and melding it with externals that come as close to indestructible as any pocket-device feasibly can is no small feat, but it’s easy to see how this can be taken for granted. The S8 Active doesn’t appear to have a very hard job. Thicken the metal, add some rubber corners, and a shatter-resistant shield and voilà, right? Well, although Samsung certainly won’t see it like that, it kind of does appear that way. The Galaxy S8 was already IP68 dust and waterproof, so now let’s make it withstand drops and extreme temperatures then call it a day. Sure. But smartphone construction can be a delicate balance, figuratively and literally. Just take for instance the critical mistakes made in trying to pack too much into the ill-fated Note7. With all of that being said, this is the first year that looks like we might see the Active on a carrier besides AT&T, so for Verizon, Sprint, and T-Mobile customers that have missed out on previous versions, you might want to check this out just to see what all the fuss is about. The Galaxy S8 Active is massively heavier and larger in every dimension than the Galaxy S8, and even loses its hallmark curved glass screen. That last part may also seem like a bonus — but the added width and thickness makes up for it in terms of poor ergonomics. With its super-thick and tough exterior, the Galaxy S8 Active doesn't look, or more importantly feel, like a Galaxy S8 anymore — and that is, after all, a big chunk of what you're paying for when you buy one. The Samsung Galaxy S8 Active is perfect for people who truly torture their phones. It offers the same great display, camera and performance as the original S8, and it can withstand heaps of abuse. Most of us can get by with a less-expensive phone and a solid smartphone case, but if you're willing to pay a premium for extra protection — and you like AT&T — the S8 Active will be a reliable partner. For a $100 premium over the standard S8, the Galaxy S8 Active gets you more battery life and increased durability. If you're looking for a phone that can stand up to abuse and doesn't compromise on performance, it's your best option and our Editors' Choice. If you're not on AT&T, however, we like the Kyocera DuraForce Pro, a model available on every major carrier. Or you can buy a regular Galaxy S8 and wrap it up in a protective case. Positive: Beautiful design; powerful hardware; high performance; metal case; very tough; nice cameras; long battery life; waterproof IP68. Positive: Impressive design; metal case; nice display; support waterproof and dust avoiding; long battery life; good hardware; excellent cameras. Positive: Manly design; good hardware; nice display; high performance; support waterproof and dust avoiding. Qualcomm Adreno 540: Integrated graphics card in the Qualcomm Snapdragon 835 SoC. Slighly optimized architecture compared to the Adreno 530 but with higher clock speed due to the new 10 nm process. In the beginning of 2017 one of the fastest graphics cards for Android based smartphones. Non demanding games should be playable with these graphics cards. » Further information can be found in our Comparison of Mobile Graphics Cards and the corresponding Benchmark List. 835: High-End SoC for smartphones that was introduced in early 2017 and manufactured in 10 nm LPE FinFET at Samsung. Integrates 4x Kryo 280 at 2.45 GHz (max) for performance and 4x Kryo 280 at 1.9 GHz (max) for efficiency. Furthermore offers an X16 LTE modem, ac-WiFi and a dual-channel 32-Bit 1866 MHz LPDDR4x memory controller. » Further information can be found in our Comparison of Mobile Processsors. 87.86%: This is a good rating above average. Nevertheless you should not forget, that 10-15% of all notebook-models get a better rating.